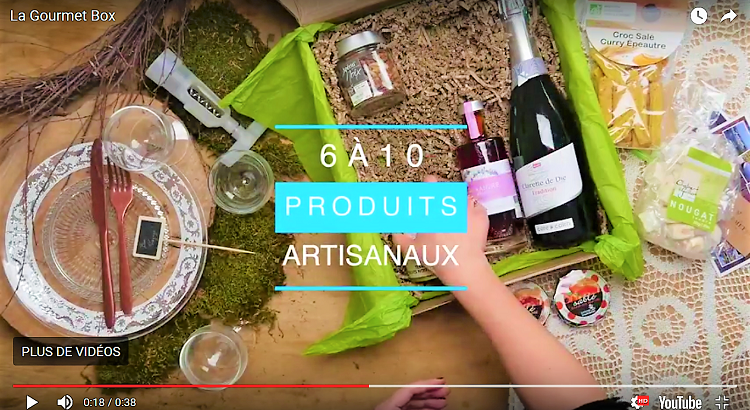 A delightful French food gift Hamper from the Tarn region! 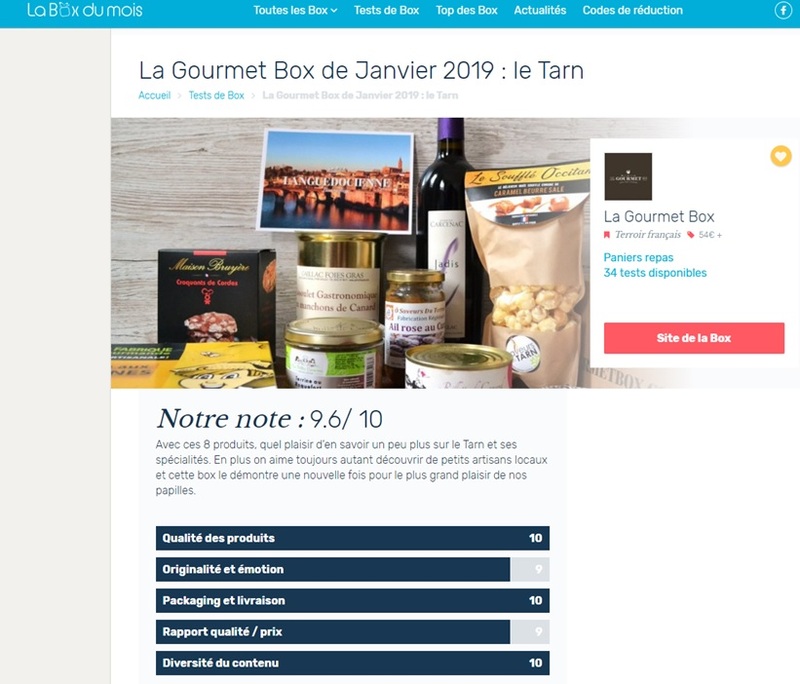 To start the New Year right, La Gourmet Box set out to explore the region of Tarn and its generous, typically Occitan culinary delights, a blend of Gascon, Languedoc and Rouergue mountain cuisine. Utterly delicious! Local wines like the famous Gaillac, Lautrec pink garlic, beans and classic cassoulet, corn, succulent duck and other meats, Roquefort cheese and a thousand mouth-watering sweet morsels. It’s been a joy to prepare this generous, varied box, and we’re convinced that the contents will delight our foodie fans. We wish you a delicious new year of gourmet adventures—bon appétit! Winery: Domaine Carcenac, Cédric Le Jauret. 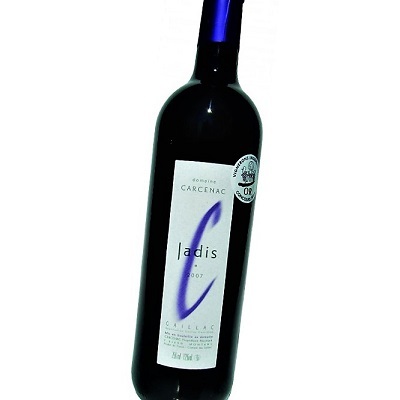 In the northern part of the Tarn département, 50 km east of Toulouse, this family-run winery has passed down its vinicultural savoir-faire from generation to generation, a history reflected in the name of this 12-month barrel-aged Gaillac red (jadis means “olden days” in French). During our exploration of the Gaillac terroir, we were particularly struck by this wine’s fascinating combination of Syrah with a grape variety typical of southwest France known as Braucol or Fer Servadou, which has been cultivated here for centuries. The barrel ageing process gives it a lovely aromatic bouquet, a delicate blend of roasted coffee, smokiness, chocolate, liquorice, red berries and spices. Ideal paired with game, red meat or intense cheeses. Artisan : Ô Saveurs Terroir - Luc Jacque, Chef de cuisine et maître saucier. The Tarn region’s famous Lautrec Pink Garlic has a sweet, subtle flavour that’s perfect for enhancing all sorts of dishes. 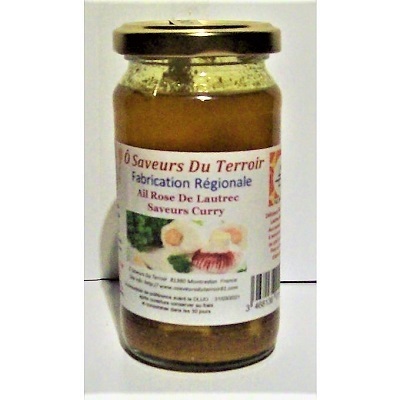 Our artisan has made it into a curry preserve, using traditional methods and all-natural products with no artificial colouring or preservatives to create a delicious sweet sauce that brings out the best in white meats. Artisan: La Ferme de Condarié. La Ferme de la Condarié is a large traditional farm where barnyard fowl and ducks range freely, scratching, pecking and feasting on the wholesome crops (wheat, barley, peas and corn) harvested from its own fields. This closed-circuit operation, where the animals’ welfare is paramount, allows them to control the quality of their products, which are processed on site, and ensure their excellence. 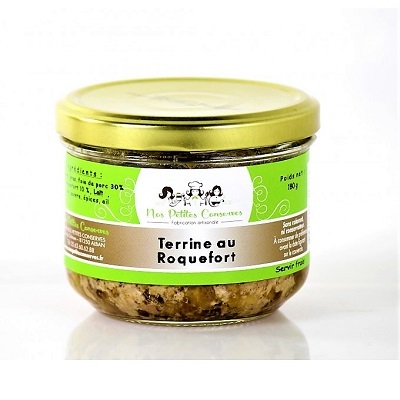 And we can guarantee that these rillettes are a truly tasty pleasure! Artisan: Conserverie familiale, Nos Petites Conserves. Nos Petites Conserves is the epitome of a family business: mother Nathalie and her daughters Pauline and Claire produce premium products armed with the specialized knowledge gleaned from over 30 years’ experience. Their tinned and potted delicacies are all-natural (no artificial colouring or preservatives) and made with fresh ingredients purchased at local markets or from artisans near their cannery. The benefits of these good practices are obvious from the very first bite: with an elegant hint of Roquefort cheese, this smooth, creamy pâté is sure to be a hit at any hors d’oeuvres party. 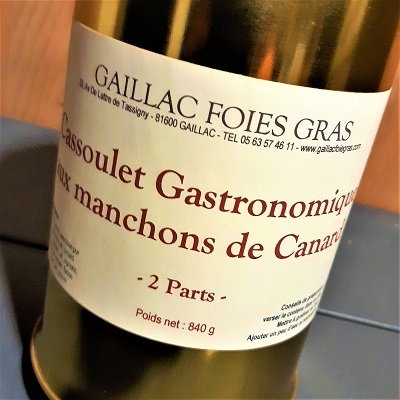 Artisan: Gaillac Foies Gras, « Marquis d'Auregui ». 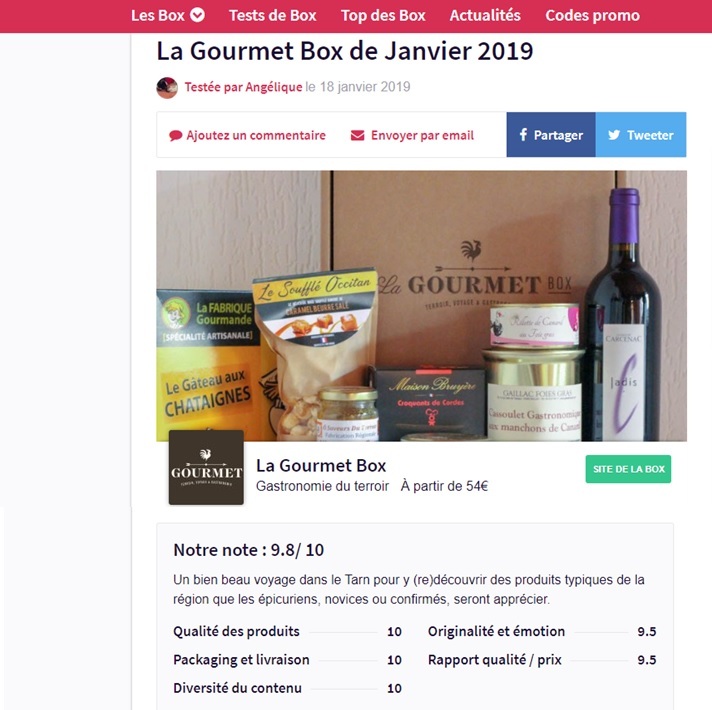 No visit to the Tarn region would be complete without a taste of cassoulet, a hearty local dish of stewed white beans and meat, and La Gourmet Box found the perfect (tiny) artisanal supplier to make it an unforgettable experience. This cassoulet contains duck meat and pork sausage, the essential Castelnaudary beans, and tomato sauce loaded with fresh vegetables: carrots, onions, celery, garlic, etc. And best of all, no artificial colouring or preservatives! When it’s done properly, nothing beats a good cassoulet. Heat in a saucepan, or top with a bit of cheese and melt in the oven for an amazing gourmet discovery. 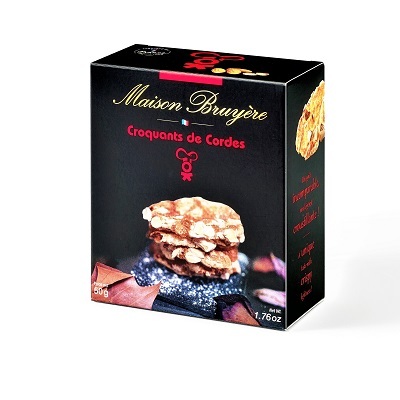 This crunchy almond biscuit is irresistible: Maison Bruyère has perfected the recipe over the years, and the result is quite simply out of this world. Take a bite, close your eyes and savour the heavenly sweetness! 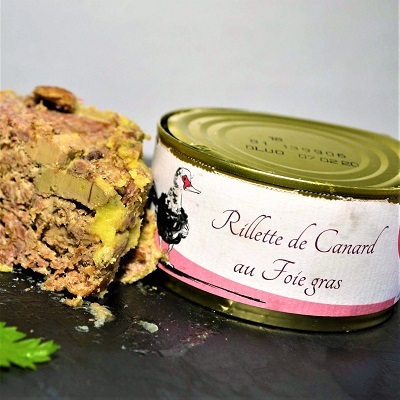 La Fabrique Gourmande is a small artisanal enterprise solidly established in the village of Le Garric, in the northern Tarn region. 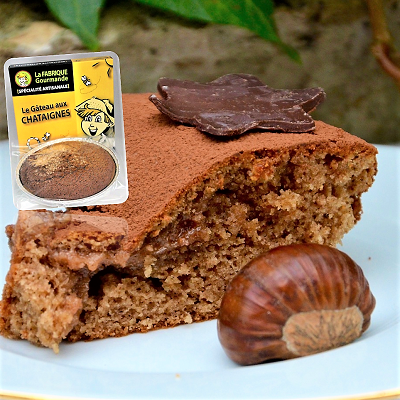 Their fantastic chestnut cake was a delightful surprise: a tender, airy, moist confection with just the right amount of chestnut flavour, it’s so delicious that one bite is never enough. Don’t say we didn't warn you! 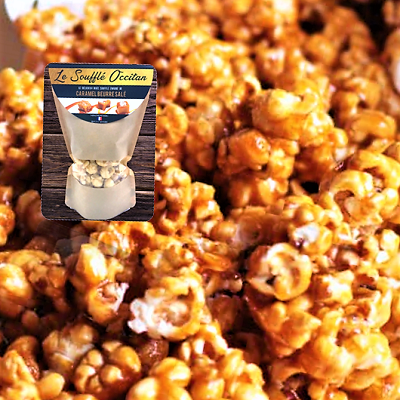 Before adding a caramel coating seasoned with Guérande fleur-de-sel, this artisan uses hot air to pop the corn, with no added fats or oils for a lighter, healthier culinary pleasure. Plus, the kernels are GMO-free, and there are no artificial flavours, colourings or preservatives in this crunchy treat. Can you think of a sweeter way to start another gourmet year? Bon Voyage in the Tarn region!